Who doesn’t love a book by Dr. Seuss? Whether it’s Cat in The Hat, Fox in Socks, What pet should I get and so on.. Almost every parent has introduced their kids to reading using Dr. Seuss books. Books like Dr. Seuss ABC and Hop on Pop are great to introduce alphabets/basic phonics and the rhyming nature of these books make it fun to read aloud. These books have super fun and engaging illustrations. If you looking for a book for Christmas, I would strongly recommend ‘How the Grinch Stole Christmas’. It’s an all time Christmas classic book for kids written by Dr.Seuss on how the effects of the Christmas spirit will grow even the coldest and smallest of hearts. It has a great message encouraging kids to grow their heart by doing good things and discover the true meaning of this holiday. 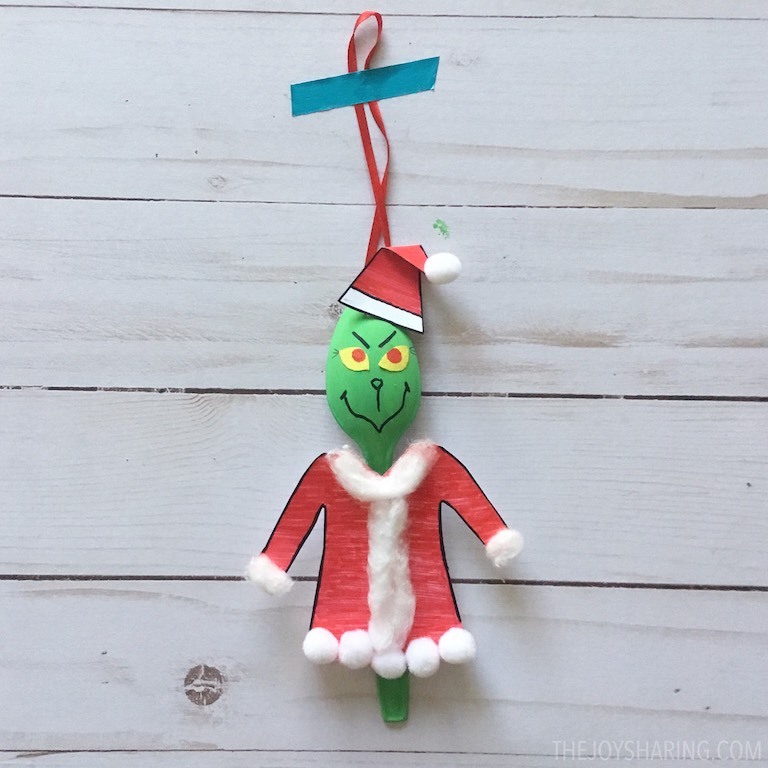 My daughter loved reading this book, so we decided to make this cute and easy Grinch Ornament for Christmas. We love to recycle stuff at home for craft projects. For this recycled craft, we decided to use disposable plastic spoons we have been saving. 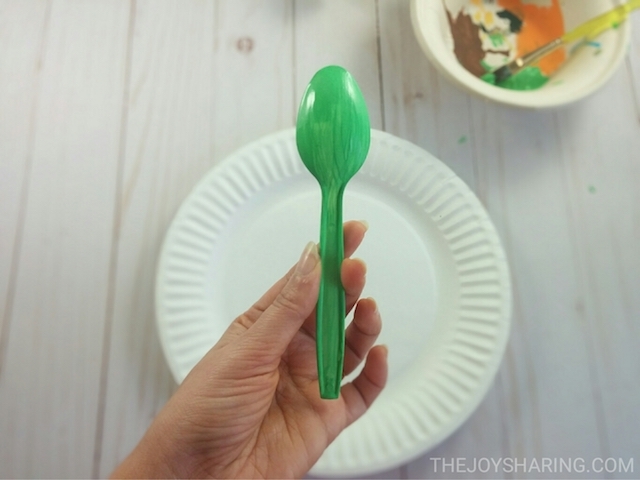 Plastic spoons make a great craft material. Did you check our Spoon Angel Christmas Ornament and Spoon Bats we made last year? Wish you all a very happy Grinch-mas in advance! HOW TO MAKE GRINCH CRAFT FOR KIDS? 1. 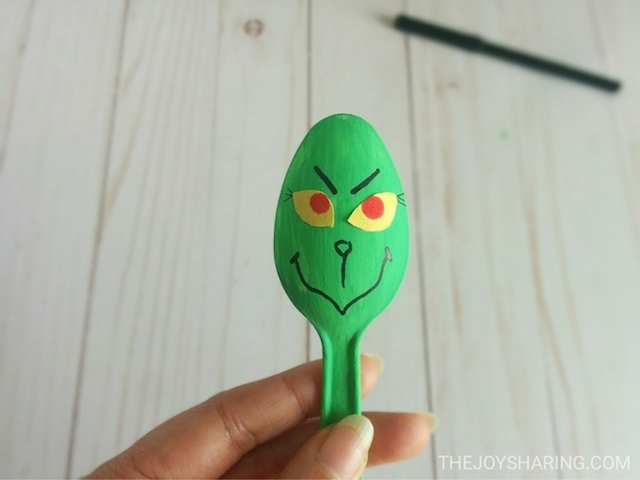 Paint the spoon with green color. It might require 2-3 coats to completely cover the spoon. 2. 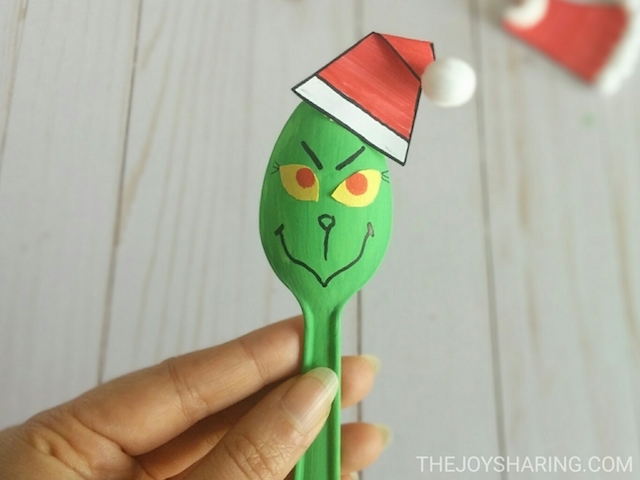 Cut out Grinch's eye from yellow construction paper and glue on the spoon. Make pupils using a red marker. 3. Make mouth, nose and eyebrows using a black marker. 4. 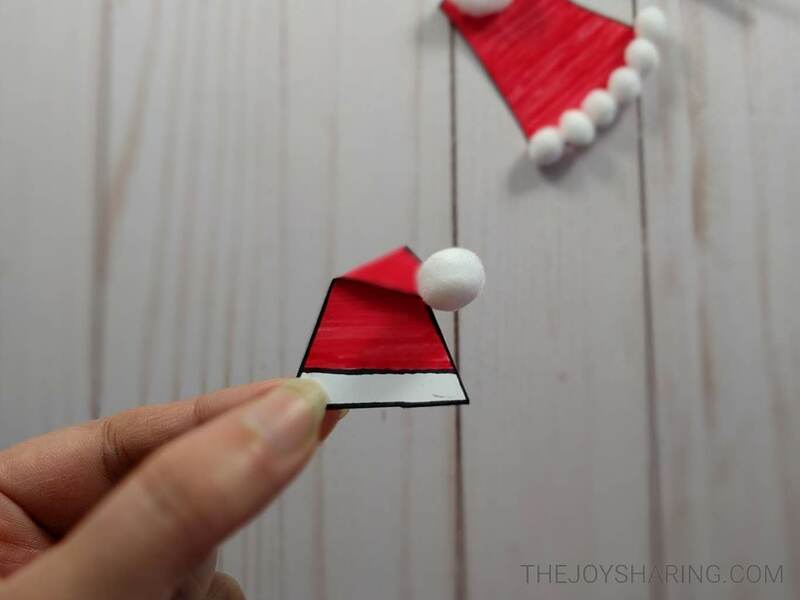 Cut out the shape of Grinch's hat from red construction paper. 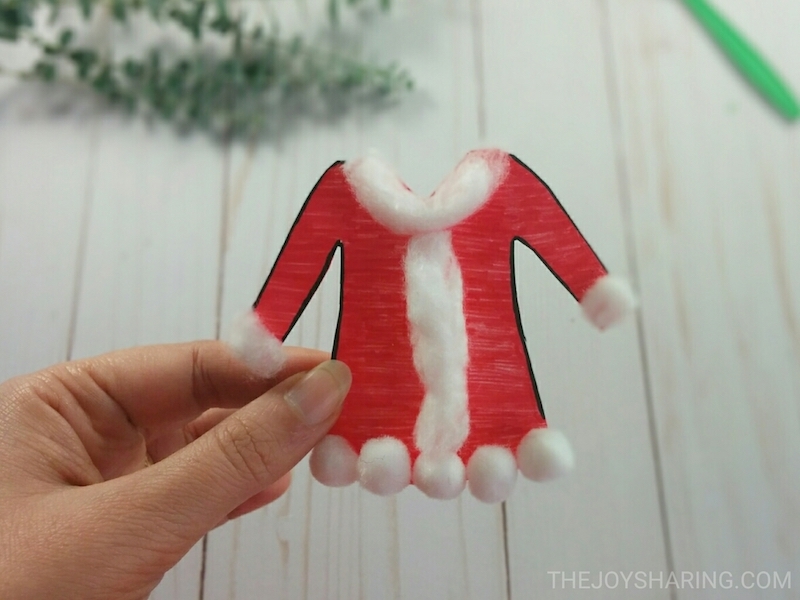 You can also use white construction paper and color it red. 5. Outline the hat using a black marker and glue a pom-pom on the top. Fold the top part of the hat as shown below. 6. Cut out the shape of the dress from red construction paper. You can also use white construction paper and color it red. 7. Glue pom-poms on the dress and some cotton around the neck/sleeves of the dress as shown below. 8. Glue the hat on the spoon. 9. Glue the dress on the spoon. 10. Lastly, glue a red ribbon at the back of the spoon to hang the ornament. 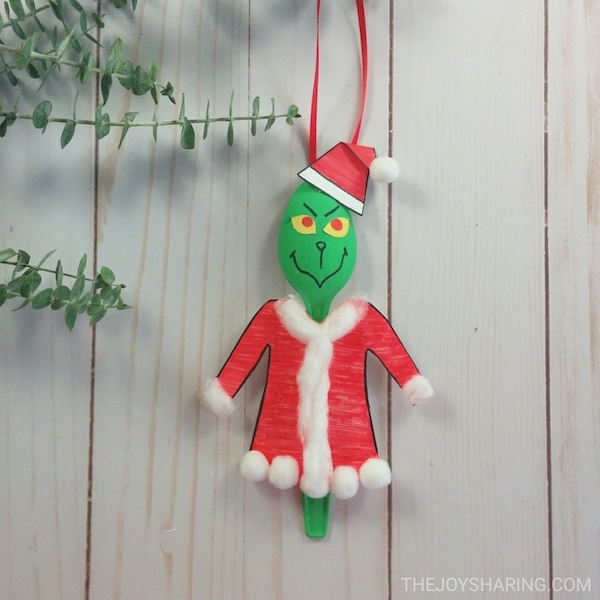 Looking for more Christmas Ornaments ideas? Look no further! 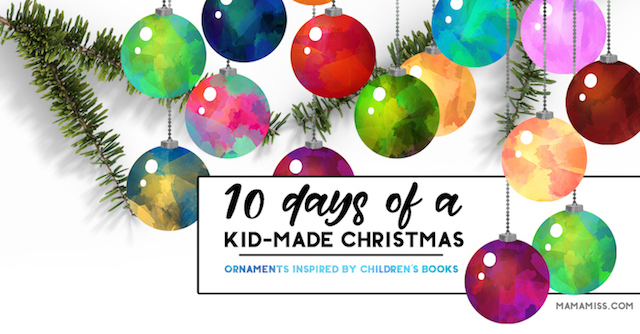 I'm excited to be a part of 10 DAYS OF CHRISTMAS 2018 series, hosted by Melissa from Mama Miss along with some fabulous bloggers. 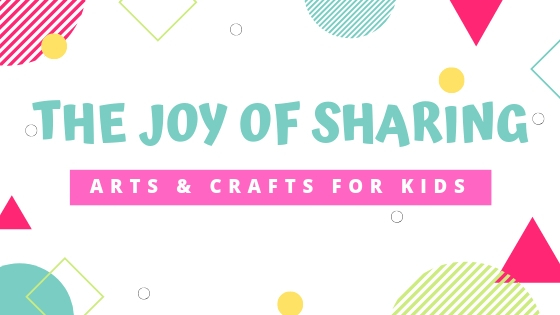 Do check out 30+ awesomely cute ornaments inspired by children's book shared in the series to find your own inspiration! Here are the ornaments shared today as part of 10 Days of Christmas 2018 series. Christmas Truck Ornament | Mama.Papa.Bubba.